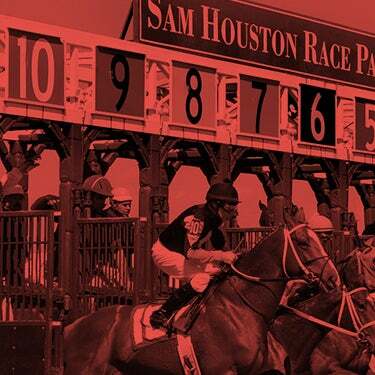 There will be plenty of live racing action and entertainment this weekend at Sam Houston Race Park. On April 21, don’t miss Food Truck Friday with some of Houston’s favorite Food Trucks including Churrascos; Boogie's Chicago Style BBQ; Greedy's Food Truck; Pita Bites; Foodgasm Food Truck; Chubbz Grubbz; Reigns Food Truck; Truck on The Bayou and Cupcake and A Smile. Live racing gets underway at 7:00 pm with the popular 50-cent Beer Friday from 6-9 pm. Saturday’s card includes four Bank of America Maiden Challenge trials, followed by the $28,440 Merial Texas Distaff Challenge as well as the final of the $103,320 Bank of America Texas Challenge Championship (G2). Popular country western artist Easton Corbin will perform at the conclusion of the evening’s races. Opening night of the 2017 Sam Houston Race Park Quarter Horse season featured two trials to determine the ten fastest qualifiers for the $103,320 Bank of America Texas Challenge Championship (G2). Jessies First Down won the first trial, covering 440 yards in :21.639 seconds. 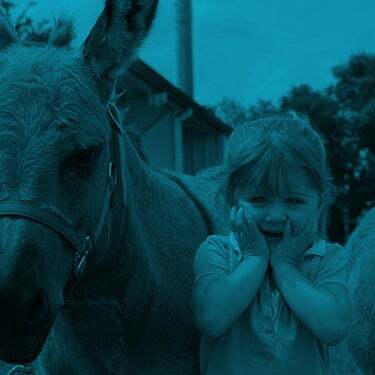 The 6-year-old son of Fdd Dynasty out of the Mr Jess Perry mare Jess A Classy Lassy is bred and owned by Ted G. Abrams, Sr. This will be the third Bank of America Texas Challenge final for the powerful bay gelding, finishing second in 2015 to Daytona B, who set a 440-yard track record in his victory and to 2014 AQHA world champion JRC Callas First in last year’s final. But after winning the $50,000 Sam Houston Classic (G2) on May 7 and completing his 2016 campaign with three Grade 1 victories at three different racetracks, Jessies First Down was honored as 2016 AQHA world champion. Jockey Rodrigo Vallejo, who qualified both Jessies First Down and Dutcher, will stick with the world champion, who drew post position three. Kearl has overseen each of the 28 starts of Jessies First Down, guiding his charge to a career record of 11 wins, 10 seconds and one third-place finish and earnings of $584,507. He was pleased with his trial win, and has no qualms about heading into the final with the third-fastest time in trials. He also trains Dutcher, winner of the second trial in a speedy clocking of :21.429. The 5-year-old gelding was bred in Louisiana by Jumonville Farms, who owns the son of Apollitical Jess in partnership with Brian Ranch. Dutcher, who has a record of 18-4-4-1, began his career at Los Alamitos, in the barn of trainer Juan Aleman. As a 2-year-old, he ran in trials for the Los Al $2 Million and tested his skills against some of the country’s top 3-year-olds in trials for both the Rainbow Derby and All American Derby at Ruidoso Downs. Stakes-placed in the Grade 1 Texas Classic Derby in 2015, he ran second in the Grade 1 Vessels Maturity and fourth in the Robert L. Boniface Los Alamitos Invitational (G1) last fall. “I’ve had him since January, and he ran a nice race in his trial,” said Kearl, who has tabbed Jose Alvarez to ride the sorrel gelding. Breeder J. E. Jumonville named Dutcher after his middle son, who runs the family’s breeding farm in Ventress, Louisiana. The family patriarch is an enthusiastic fan of Dutcher, and will be at Sam Houston on Saturday night for the final. The contention runs deep Saturday night and one finalist who cannot be overlooked is 2016 Sam Houston Derby winner TLC Dale. Rogelio Garza Guajardo’s homebred son of The Louisiana Cartel notched the second-fastest time of :21.627 under Damian Martinez. Trained by Eusevio Huitron, the 4-year-old has only finished off the board in one of his 12 career efforts. He ran second in the 2016 Firecracker Derby and completed the superfecta in the $236,000 Dash for Cash Derby last October at Lone Star Park. This Is A Deal represents the very familiar trio of breeder/owner Pete A. Scarmardo, trainer Leon Bard and jockey Francisco Calderon. Scarmardo bred and owns the 4-year-old son of Dealagame, who set the fourth-fastest qualifying time in trials. He has a good record in Houston and ran a game second to Ivan James in the 2015 Sam Houston Futurity before competing in futurity trials at Ruidoso Downs. 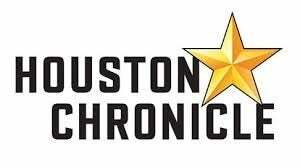 The ten finalists will compete in the eighth race Saturday night at Sam Houston Race Park, with the winner earning a berth to the $330,000 Bank of America Challenge Championship (G1). The 2017 final will take place on October 14 at Prairie Meadows. 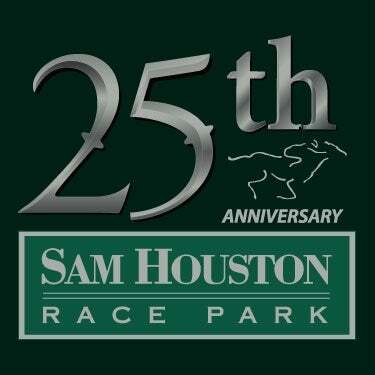 Sam Houston Race Park will host the $28,440 Merial Texas Distaff Challenge Saturday evening. A field of 12 fillies and mares will compete at 400 yards with the winner earning a berth to the national championship in October. Kirk M. Goodfellow’s homebred Phoebesdynasty, a 4-year-old daughter of Fdd Dynasty, has been installed as the 5-2 morning-line favorite. She will make her Sam Houston Race Park debut in her 22nd career start. Trained by Cody Reynolds, the Oklahoma-bred mare ran a game third behind Sam Crow in the $61,800 Mr Jet Moore Stakes at Remington Park three weeks ago. Jockey Mauro Salcedo, who has ridden the bay mare at Rillito Park and Sunland Park earlier this year, has the call. Trainer Judd Kearl will saddle two mares, and both look to be viable contenders. Barefoot Beach, an Ivory James mare bred by Bobby D. Cox, makes her second start of the meet. She finished a close second in the $20,000 Miss Sam Houston Stakes on March 31, and will break from the far outside post under rider Rodrigo Vallejo. Kearl has also taken over the training duties for the talented Million Dollar Kiss, who was the upset winner in the 2014 John Deere Juvenile Challenge at Sam Houston. Bred and owned by Jerry Chapman, the daughter of Jess Louisiana Blue has won five career races and topped the $120,000 earnings mark. Jose Alvarez will ride. Trainer Leon Bard and jockey Francisco Calderon won the Merial Texas Distaff last year with Time for Wine and will team up this year with Brookside. The 4-year-old mare by Brookstone Bay is bred and owned by Linda Loftis Tobias and was the fastest qualifier to the 2016 Adequan Texas Derby Challenge, running fourth in the final. She will make her 2017 debut off back-to-back wins last fall at Lone Star Park. The stakes will run as the seventh race on the Saturday night card with the winner advancing to the $105,000 Merial Distaff Challenge Championship (G1) at Prairie Meadows on October 14. Trainer Judd Kearl is off to a fast start in the 2017 Sam Houston Quarter Horse meet with 14 wins. He has won seven Sam Houston leading trainer titles to date. Leon Bard has some very nice runners in his barn, and is second in the standings with seven wins and a sizzling 76% of his starters hitting the board. Jose Sanchez rounds out the top three with five victories. Luis Vivanco who finished in a tie with Rodrigo Vallejo last year, are tied once again following the first four weeks of the 2017 racing season. Both have won 12 races. Francisco Calderon is also having an excellent meet with ten winners, including last Saturday’s stakes win aboard Stolis Pro in the $18,900 AQHA Texas Distance Challenge. Pete A. Scarmardo has won three races and the three-time leading Sam Houston Race Park owner has taken the lead in the owner standings the lead over Holly Hooper, Filimon Saucedo, Paragon Farms LLC, A. D. Maddox, Rogelio Marquez Jr, Shirley Richardson and Pete and Greta Guerra. The entertaining 2017 Spring Concert Series returns to the Bud Light stage this weekend with Easton Corbin performing on Saturday, April 22. The series continues through May 19 with the artists taking to the stage immediately following the live Quarter Horse races. Concert admission is FREE with $7 live racing admission before 8pm. Tickets are available at www.shrp.com, at participating Houston-area Randall’s locations, or by calling 800-211-3381.